Rochester Cathedral hosts the Wine Garden of England’s inaugural festival. HRH Countess of Wessex attends Nave Dinner at Rochester Cathedral with entertainment by Jools Holland. Rochester Cathedral’s most famous book, Textus Roffensis, will be on display as part of a ‘once-in-a-generation’ exhibition on Anglo-Saxon England at the British Library. The new Bishop of Tonbridge, the Rt Rev Simon Burton-Jones, was officially welcomed by the local Church and wider community, at a special service in Rochester Cathedral that took place on Sunday 2 September. You can read Bishop Simon's address here. Following his consecration as a bishop by the Archbishop of Canterbury at St Paul's Cathedral earlier in July, Simon - the former Archdeacon of Rochester and a self-confessed Simpsons and West Wing fan - was formerly welcomed as a bishop within the Diocese of Rochester, which represents the Church of England in north west Kent, Medway and the London Boroughs of Bromley and Bexley. The occasion saw him installed into his bishop’s ‘seat’, which is known as a ‘cathedra’ and where the word ‘cathedral’ originates. Large numbers of people from across the region attended, including senior clergy, ordained and lay ministers, as well as other local civic dignitaries. The service was presided over by the Rt Rev James Langstaff, the Bishop of Rochester. Simon also received three items to symbolise his office as bishop: an episcopal ring, a pastoral staff and a pectoral cross. All were made by local craftsman Andrew Lapthorn, who is based at Chatham Dockyards. Two of the items were crafted from 4,500-year-old ‘bog wood’ and Simon was personally involved in their design, incorporating within them symbols of significance to him, that he explains in three short films. As Bishop of Tonbridge, Simon will focus on evangelism and growth. He will also have oversight and leadership of education, youth and children, as well as community engagement work among churches across the Diocese of Rochester. A national scheme to conserve and repair England’s cathedrals from which Rochester cathedral was awarded over £800,000 has significantly reduced immediate risks, a report published today said. The £40 million First World War Centenary Cathedral Repairs Fund, launched by the Government in 2014, invited applications from Catholic and Church of England cathedrals to address urgent repair works. The fund prioritised making buildings weatherproof, safe and open to the public as well as ensuring they would be in a safe condition to host acts of remembrance for the centenary of the First World War armistice in 2018. Rochester Cathedral Received a total of £823,000 which helped to repair and replace aging roof structures. England’s cathedrals contribute more than £220m to the economy each year, drawing in more than 11 million visitors. Each cathedral has the responsibility for raising the funds required for upkeep. However, with no regular Government funding, each cathedral faces an ongoing challenge to maintain their fabric while ensuring comfort, safety and accessibility for all. In total, of 146 awards were made to 57 cathedrals. Twelve cathedrals were awarded more than £1 million each, and the average award was £274,000. Grants were awarded over two phases between 2014-18. Today’s independent report shows a significant reduction of problems requiring immediate repair as a result of the investment, but warned that recipients all had outstanding repairs in areas not covered by the scheme. 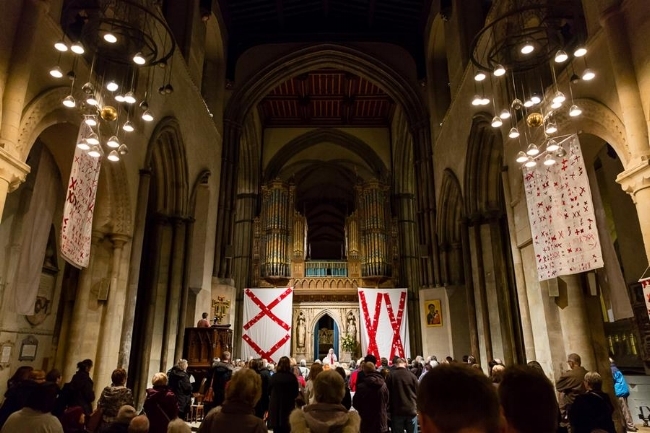 Rochester Cathedral expects to welcome increased visitor numbers throughout 2018 for First World War commemorations. The Cathedral is joining organisations across Medway in hosting the ‘5,000 Poppies’ exhibition this November. The exhibition features thousands of poppies knitted by the local community to commemorate the centenary of the end of the First World War. Throughout the summer we will be giving visitors the opportunity to knit poppies here at the Cathedral. Make music in the Ithamar this summer! Please find the 2017 Annual Accounts for Rochester Cathedral here. British Empire medal for Wendy Daws! Wendy Daws has had a close working relationship with Rochester Cathedral for many years. The relationship began when we commissioned her to create a tactile representation of our unique fresco. Wendy has run various workshops for adults and children in the cathedral and the cathedral has hosted several exhibitions created by Wendy and the groups she works with. We are delighted that she has been awarded a BEM for her outstanding work. Rochester Cathedral is delighted to announce an upcoming exhibition in our Crypt. Photographer Clive Tanner will be exhibiting a number of his photographs of English Cathedrals in May. Beyond Divine Light is a journey around England visiting some of the great cathedrals; showing architectural and memorial details in stone, wood, textile and glass. This exhibition features the photographs of Clive Tanner, taken over the past twenty-five years and shows some of the details that might be missed at first viewing. An enthusiastic club photographer, Clive has achieved the highest distinctions awarded by Royal Photographic Society and Photographic Alliance of Great Britain; his pictures are frequently accepted by international salons and exhibitions. Beyond Divine Light will run in May in the Rochester Cathedral Crypt and will be free of charge to visit. The Queen has approved the nomination of the Venerable Simon Burton-Jones to be the next Suffragan Bishop of Tonbridge in the Diocese of Rochester, 10 Downing Street has announced. He currently serves as Archdeacon of Rochester and Canon Residentiary at Rochester Cathedral. For the rest of the article on the Diocesan website, see here. The Dean, Chapter & Staff of Rochester Cathedral will be sad to see Simon go, but are delighted for him. Rochester Cathedral has recently agreed a new development plan for 2018 – 2022. Please click here to read the full details. 280 people gathered for the launch night, which was enjoyed by all. For further information, please see this recent news article at kentonline. 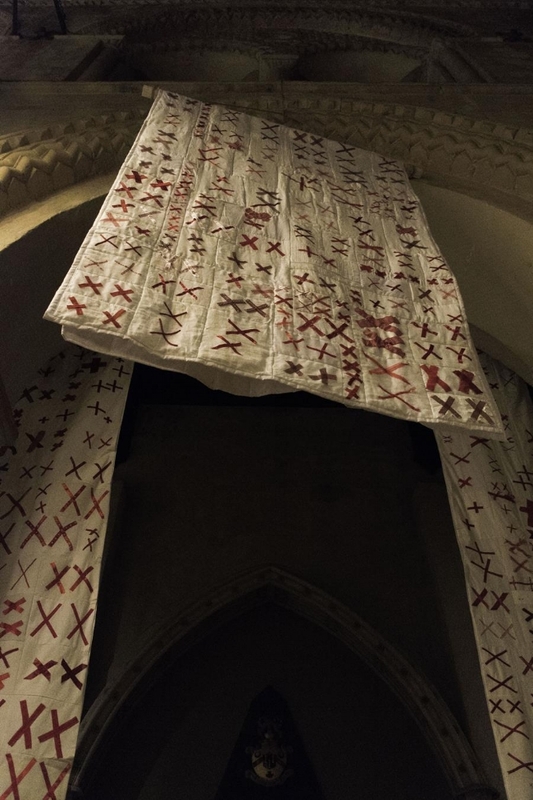 Rochester Cathedral is privileged to be hosting South East England’s contribution to this amazing international project commemorating the 70,273 women, men and children who lost their lives as part of the Aktion T4 programme between January 1940 and August 1941.